See: Historic Skagway buildings on a ranger-led tour of the Klondike Gold Rush National Historical Park. Do: Ride the White Pass & Yukon Route train to the Canadian border and back. 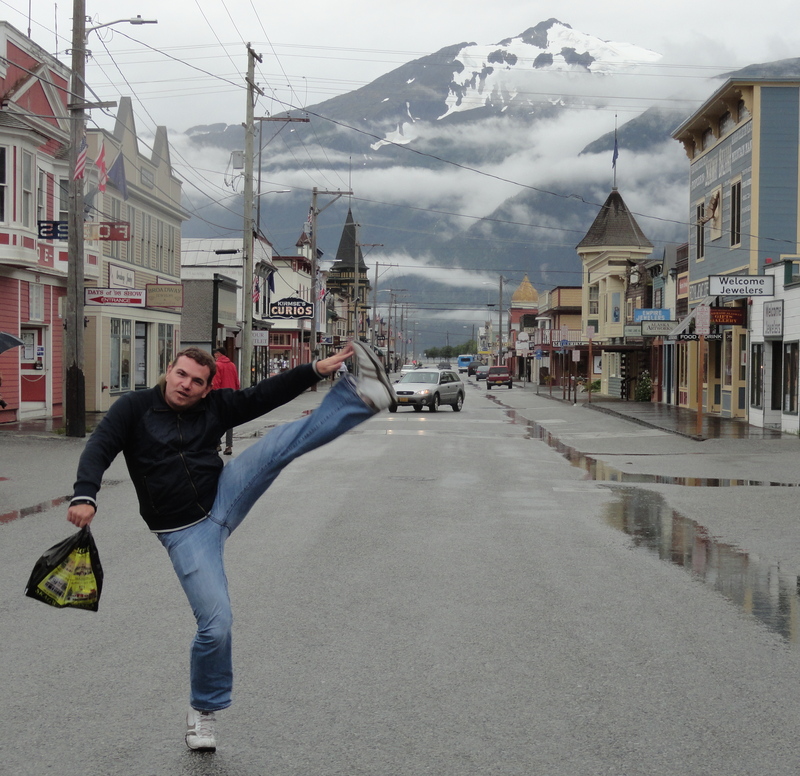 This entry was posted in High Kick Photos and tagged High Kick, Klondike Gold Rush National Historical Park, Olivia's Bistro, Sgt Preston's Lodge, Skagway, Skagway Brewing, Skagway City Museum, White Pass & Yukon Route. Bookmark the permalink.